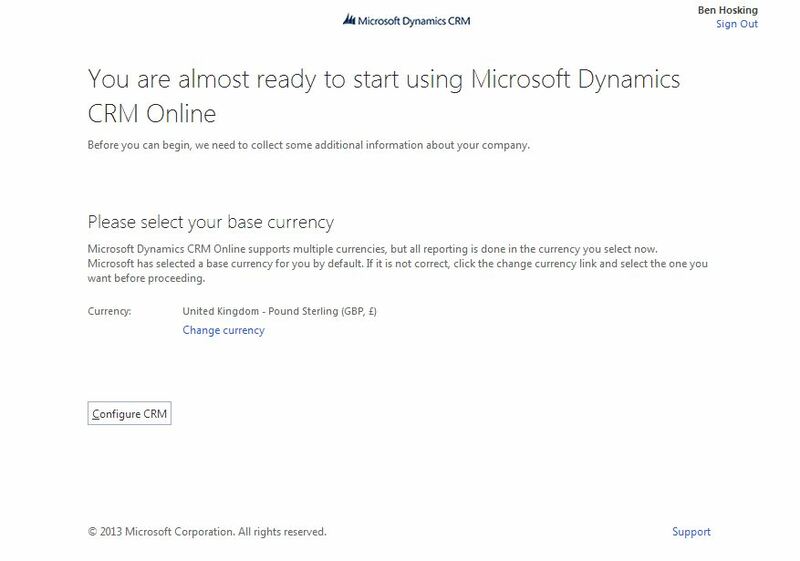 Microsoft kindly have a free online trial which last for the 30 days and allows users to trial Microsoft Dynamics CRM 2013 for free. This is a fantastic feature for CRM developers because it allows CRM developers to have a look at CRM 2013 and to develop with CRM 2013. 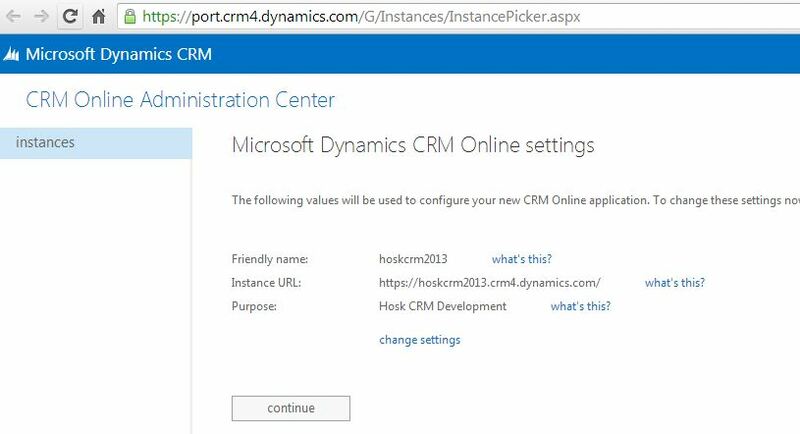 I have personally found it very useful because it gave me an opportunity to try CRM 2013 and play with the new features in CRM 2013, it also means you have access to a CRM 2013 instance and all you need to connect to it is an internet connection, allowing you to do CRM development without having to setup a virtual machine on your laptop. The CRM 2013 online trial is a master stroke from Microsoft because it allow potential customers to quickly and easily have a look at CRM 2013 and for companies to quickly create a quick modified demo for potential customers. So as part of Hosk’s Microsoft Dynamic CRM Development youtube video channel which I started late last week, which is a channel focusing on CRM Development, I will run through creating a CRM 2013 trial as one of the first video’s so that I know subscribers to the video will know how to get a CRM 2013 trial and will have a CRM 2013 instance to do CRM 2013 development on. Overall it’s a fairly straight forward process but there are just a couple of tricky steps and it shouldn’t take you more than 10 minutes. 3. You then need to fill in your details, two things to note. Country is important because it sets the region and if you choose to activate you subscription then it must be the country/region of your credit card, also you cannot change this after it has been set. 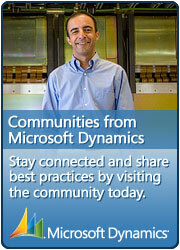 Don’t worry too much though because you can always create another CRM 2013. 4. When you have gone through the steps above you will be in the office 365 admin centre. You will see CRM will be provisioning, which basically means it’s creating it. If you wanted to add more users you would do this in the Admin section. When CRM has stopped provisioning and has changed to no issues, it means you can use it. 6. 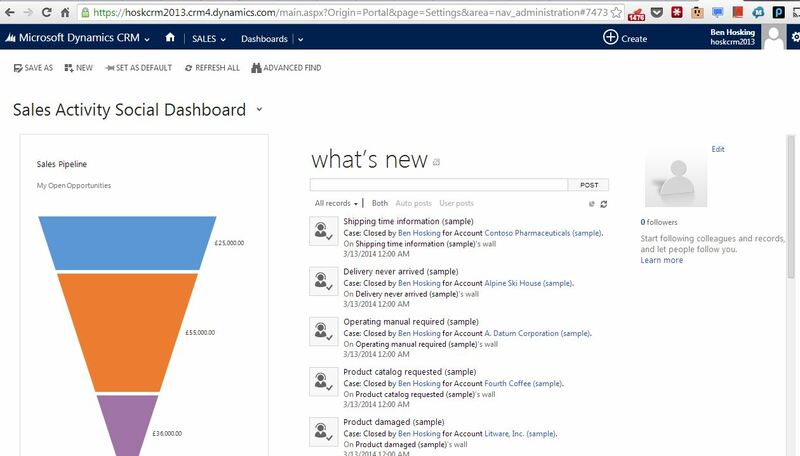 You should be getting excited now, You are almost ready to start using CRM 2013 online. The last thing you need to confirm is your base currency, this is an important choice because you will not be able to change it and all the currency figures and calculations will be done in the base currency (but each user can display it in a difference currency). 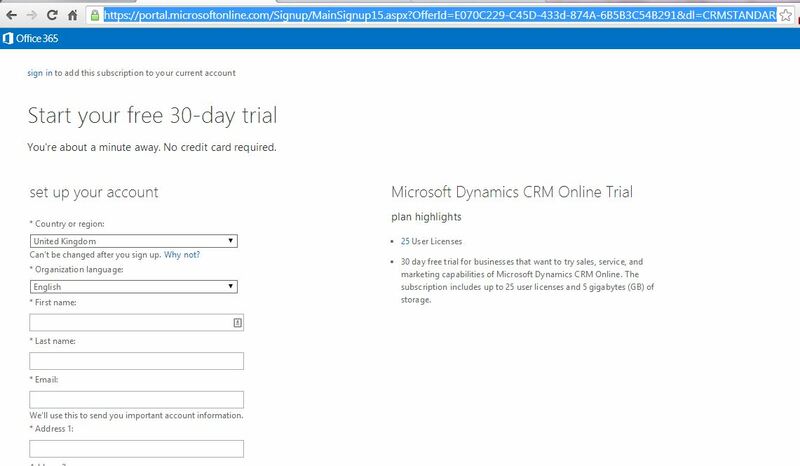 Make your choice and press configure and you will then be taken to your CRM 2013 instance.